On Friday, 27th February, The Learning Hub hosted a special “Novel Night” with acclaimed author and illustrator Ian Beck, shown below signing the Elton John album whose cover he designed, Goodbye Yellow Brick Road. The evening celebrated The Hub’s successful restructuring as a unique resource that gives trainee teachers and schools the tools to provide children with the very best in literacy teaching and development. The Hub incorporates the existing Teaching Resource Base and the National Centre for Language and Literacy. It provides teachers with access to a wealth of materiel, including an education reference library, and the opportunity to view a huge range of children’s publications before they are purchased for the school. It also houses a comprehensive range of reading schemes and resources for a wide range of curriculum areas. Karen Goulding, Learning Hub Director, said: “It’s wonderful to have two fantastic resources now under one roof, and in a new facility. The Institute of Education is one of the leading teacher trainers in the country. Our students now have access to top-class facilities which will support them in their journey to become outstanding teachers. The Hub will stimulate ideas that student teachers can use in their future classrooms, boosting academic success for not only trainee teachers, but also for the children under their care. During the opening event, Ian Beck took part in a wide-ranging Q&A session. 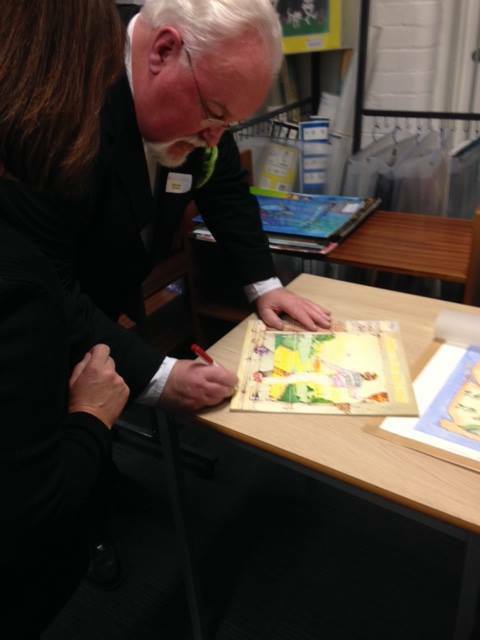 The audience also had the chance to view some original artwork of Ian’s Peter Pan, authored by Rose Impey. Ian’s work includes Round and Round the Garden and gold award winners in the Best Toy Awards. Home Before Dark, Alone in the Woods and The Happy Bee. He also designed the cover illustration for Elton John’s Goodbye Yellow Brick Road album. 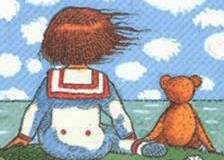 Ian Beck said: “I believe we are living through a Golden Age for Children’s Books at the moment. This despite the regrettable and short sighted Library Services cuts and the price cutting power of the behemoths of commercial book selling. Publishing has long realised the importance of stories for children. The publishers are of course operating for the benefit of their shareholders and for profit but the energy and commitment of the staff however within those commercial restraints is admirable. The University of Reading’s special London Road issue of Travel Wise has been updated with all the most recent information of how to find us in a clean and green way. Please click here for help and information on easily reaching us. What did the Romans do for education? And why did they have to scrape the dirt off after bathtime? Why did Roman parents send their child to school with a slave? How did the Greeks and Romans learn each other’s languages? Any why did the Romans need a shower and a scrape after a visit to the bathhouse? The answers and other priceless insight into daily life in the Roman Empire are revealed by the first English translation of Europe’s most ancient children’s book. The Colloquia of the HermeneumataPseudodositheana is the work of a leading classicist – Professor Eleanor Dickey of the University of Reading. The Colloquia were manuals written to help ancient Greeks and Romans get around in each other’s languages. They tell of a day in the life of a schoolchild and his teacher as well as containing numerous dialogues that shed light on daily life in the Roman Empire. Professor Dickey’s quest led her to libraries and museums across Europe to read medieval manuscripts and to decipher papyri. 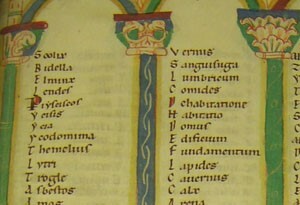 Professor Dickey then translated the original Latin and Greek text into English so that it could be used by a wider community. In the process, her work has cleared up a mystery which has confounded historians – how Romans coped with the fact that the water in their public baths was often filthy. The first volume of The Colloquia of the HermeneumataPseudodositheana was published by Cambridge University Press in 2012; the second volume was published on Thursday 12 February. The book combines an English translation of original ‘colloquia’ that Professor Dickey compiled from ancient manuscripts and books during a four-year project, funded by the Arts and Humanities Research Council and the British Academy, with a ground-breaking study of their origins. Take a look at what these musicians in the classroom have to say about their BA Education (Music) degree. This high achieving course (95% employed within six months) is both a serious music degree and a professional primary education degree – all in one three year course. 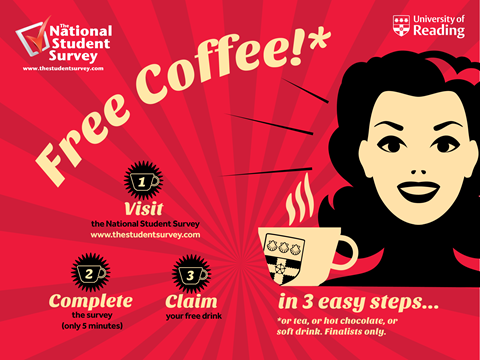 So do the surveyand enjoy your free drink! Green Week – today’s events! Today sees the launch of top-ups on campus, where you can top up your unisaver10’s at Campus Central. All week you can get rewards for travelling to campus using sustainable modes of travel by entering our online prize draw with your name, contact details and mode of travel here: https://www.surveymonkey.com/s/UoRTravelRewards2015 . 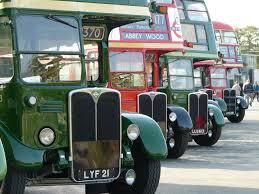 Daily prizes including free bus travel, discount vouchers and free food! Spot the change on campus – some of the bins in the Quad are in disguise and have googly eyes… can you find them all? Also running in the London Road Campus Social space. Find out how much litter is picked up on the Whiteknights Campus each and every day by visiting the display outside the Palmer Building. Finally keep an eye out for the inflatable green sofa which will be roaming campus. 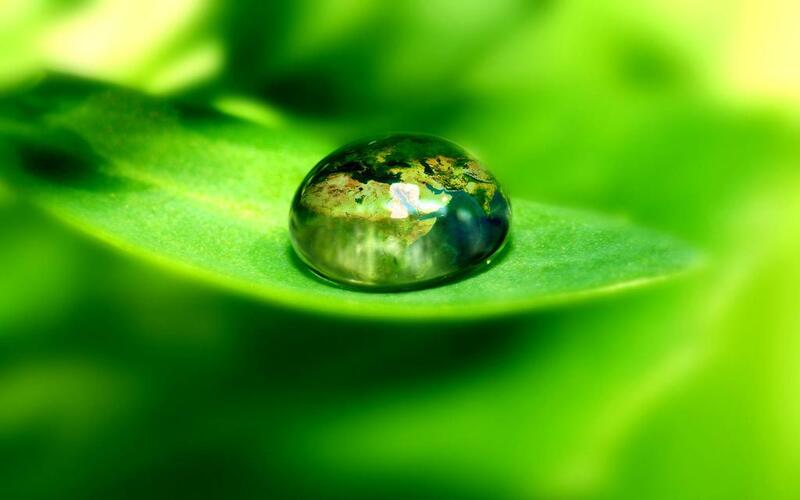 Come join us and tell us why being green is important to you. We have props to help you! Look out for us alongside other events over the week. Tomorrow is Travel Tuesday so we have Dr Bike, Reward Your World and Readybike on campus to answer your questions about their special offers for Green Week. All will be outside Palmer from 11-3pm, or in the Palmer foyer if the weather is awful. We will also be running Energy Busters! Spotted something wasting energy in your office or department? Get our energy busters to come and take a look at it. Email us at carboncountdown@reading.ac.uk and one of our Energy Busters will pop out and see you as soon as possible! Finally we will also be holding a Shredathon! Do you have old paperwork at home which you really need to get rid of, but haven’t because it needs shredding? We are offering a free confidential waste shredding for staff and students. Simply bring your paperwork with you on Tuesday and visit the Shredding Station which will be on the path between the HumSS and Minghella buildings. 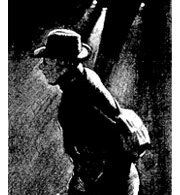 In what was almost “lights out” for the IoE, the evening of 6th February saw the darkened campus swarming with intent figures, all with one common aim ……. … Yes, the University’s Sustainability team were staging the NUS Blackout Event! The event highlighted the energy we could save every night, if the maximum number of appliances were switched off at the end of each day. Results to come soon; watch this space…. Is putting finances into children’s hands the key to a better future? Staff and students at the University of Reading’s Institute of Education have been closely involved in a pioneering HSBC-funded project that helps educators teach children about money. For the last year, the Institute’s mathematics team has worked with an educational charity to roll out the ‘What Money Means’ project. The project culminated in a film crew marking this key milestone in working for a less turbulent future for our children’s finances. Funded by HSBC bank and managed by The Personal Finance Education Group (pfeg), it is estimated that this programme has benefited over 23,000 children over 5 years. In October 2012 pfeg won a prestigious Charity Times award for the project. 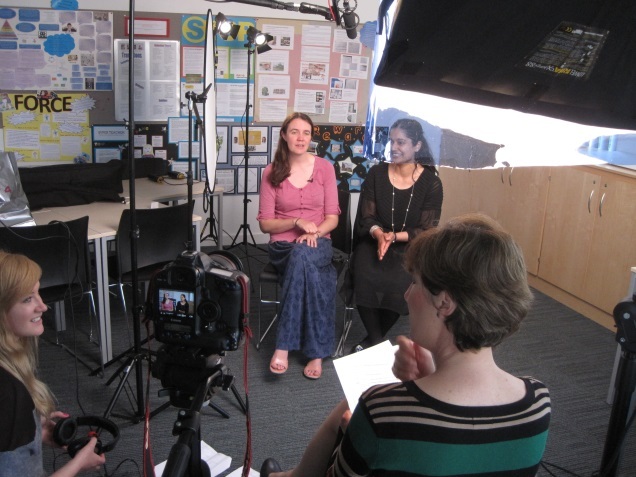 pfeg’s consultant, Alison Terry, who has been working closely with Catherine Foley and Nasreen Majid at the University to develop training materials, reported that the charity was impressed by how readily the university tutors recognised the potential benefits of the project. The University’s trainee teachers who tried out the new ideas whilst on school placement were overwhelmed by the positive response. Said one trainee: “I was surprised at how excited the children were about doing a money based activity”.Another remarked: “I realised how many misconceptions the children had about money and how it is used”. A completely unique degree that enables deaf and hearing students to study drama, theatre and teaching is being offered by the Institute of Education. Ranked in the top 1% in the world, the University has a tradition of theatre as well as being home to one of the most respected teaching institutions in the world – the Institute of Education. It is here that students can study the Theatre Arts, Education and Deaf Studies (TAEDS) degree that offers such a vibrant combination of subjects, whilst demanding academic rigour and offering strong vocational skills. Employability figures are very high for graduates of this course. Many TAEDS students enter professional theatre as actors, directors and technicians or establish their own theatre companies. Others move into education in both mainstream and special needs schools. Some graduates continue with BSL to become Communication Support Workers and qualified BSL interpreters. Still others continue postgraduate study and some enter the field of Audiology. 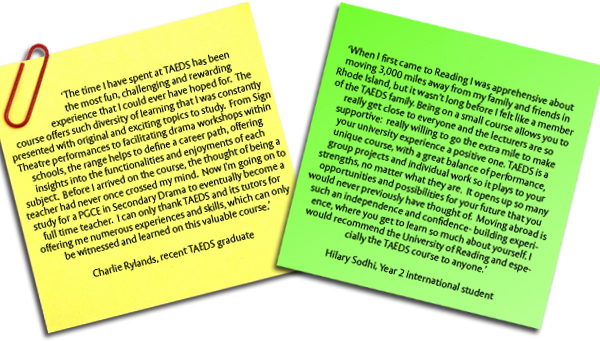 Find out more about this amazing course: Visit TAEDS’ webpage or email j.s.l.west@reading.ac.uk. Are you involved? Student Union elections coming up – take part in shaping your world. So how do I run for Election? RUSU Elections 2015 is your chance to decide the future of your Students’ Union. This link shows you how to nominate yourself as a candidate, run a campaign and vote in the election. As a member of RUSU you choose who’s going to represent 17,000 students. That’s pretty serious experience to take out into the workplace. This term there are elections for 5 Full-time Officers, 7 Part-time Officers, 8 Undergraduate Faculty Reps and 2 Student trustees. So whatever your passion, whatever you care about, don’t miss your chance to get involved and be part of the change. Nominations close at 15:00 on Thursday 12 February 2015. Voting opens Monday 23rd February at 10am and will close on Friday 27th February at 3pm. For any enquiries, email RUSU on elections@rusu.co.uk. We will get back to you as soon as possible.